We are a registered learning provider: UKPRN 10052573. Not only is a career in permanent make up exciting, varied and financially rewarding, it can also be incredibly fulfilling. As a skilled technician, you will have the ability to make positive differences every day to the lives of your clients. If you are creative, have an eye for detail and want to have a thriving business, permanent make up could be for you. With the rise in popularity of treatments in recent years, there is not a better time to enter this industry. Would you like to work as part of a dynamic team within a fun, well respected company? If you train with us we offer every trainee the possibility of an internship to hone their skills in a safe environment with experienced techncians working by their side and the possiblibility for the right candidate of joining the group on a permanent basis. "My whole experience from start to finish was very inspiring and has motivated me. I would highly recommend her to anyone looking to further their skills and grow their business." "I have had a most inspiring and educational training on semi-permanent eyebrows. I acquired so much knowledge and understanding of the visual, aesthetic and emotional effects of a good, bad or non-existent eyebrow on a person. The training was very thorough, well set up step by step so that was easy to follow, but challenging and getting me creative on the job. Mary-Anne was very supportive, encouraging and patient trainer during all assignments and activities. I feel now that I am an able, competent and confident technician. She ensured that I know that I know what I was doing. "I am delighted with my training with Mary-Anne She was friendly and inviting from my first contact with her and I was very excited and looking forward to my training. From day one Mary-Anne made me feel very welcome and it felt like I had known her for a long time. This helped me relax and pick up the training quickly. Mary- Anne is very passionate about the industry and this came across very positively throughout the training. Mary-Anne was professional, friendly and thorough. The course was fun and enjoyable and I feel confident in my new skills in semi permanent eyebrows. Mary-Anne provided some models for me, who were also very nice and made me feel at ease when practicing on them. Mary-Anne teaches the best techniques and uses the best products that will put you ahead of the rest! I highly recommend Mary-Anne she really is an expert and a lovely lady to work with, I am already planning my next lot of training, thank you Mary-Anne." 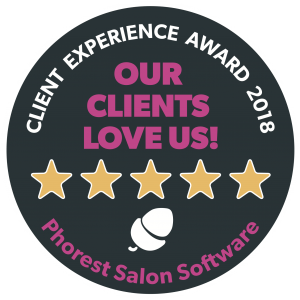 A models experience of the training: "I was made to feel very at ease and welcome by both Marie anne and Laura also the procedure was not rushed and I felt they took great commitment to getting the shape right for me . I am looking forward to showering and not having to worry about my eyebrows thank you and I wish laura well for the future." Laura, Bedford: "After toying with the idea for well over a year I finally took the plunge and trained with Mary-Anne at Pretty Permanent Make – Up. As I work full time it did take me longer to pass but this was my choice as had work commitments in-between training. I’m now a fully trained Semi-Permanent Make Up Technician and have been building up my client base since qualifying and obviously loving it. What I loved most about the training was that it was one to one and any questions you had you weren’t made to feel silly. I feel that if I’d chosen elsewhere to train it would not of been as personal and I wouldn’t of walked away with the confidence I did. Mary-Anne was extremely thorough and definitely filled me with buckets of confidence, and I really like the fact that I was thrown in the deep end straight away. I had a theory booklet which needed to be completed before I started the course, this gave me a huge understanding of what I was about to embark on, learning skin tones, pigment colours, and the history of tattooing amongst other things. Mary-Anne went above and beyond when I found some parts of the course difficult, there is definitely and art to tattooing. I’m so happy with the training I received and have used the techniques on a daily basis with my client base, I will be going back to do other mini courses to add to my portfolio. Any facial tattooing is so personal and a big decision for the client. I’m so pleased I can offer my services through the training I had at Pretty Permanent Make Up. Mary-Anne is professional, thorough, calming, knowledgeable and overall a lovely lady and wonderful teacher. She really did make the whole training enjoyable. Thankyou"
Please complete the form below and one of our team will get back to you with details of our training courses.